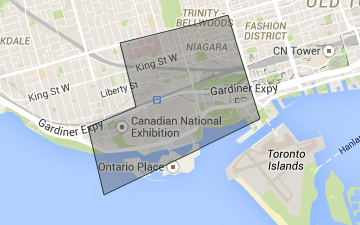 The Niagara community of Toronto stretches from Bathurst to Dovercourt along Toronto's waterfront and goes as high north as Queen Street. 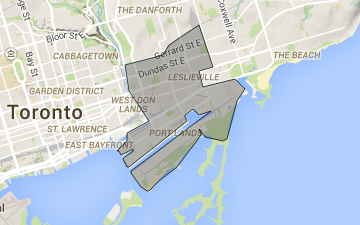 The main neighbourhoods within this community are Fort York, Liberty Village and the more western parts of the downtown King and Queen Street West strips. Yonge and Eglinton, once a part of the old Town of North Toronto, is also affectionately known as “Yonge and Eligible” thanks to the 20-something crowds that settled into the low and high-rise apartment buildings in the 70’s and 80’s. 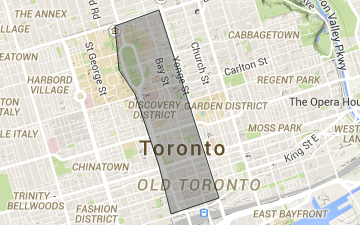 Located between College Street on the north and Queen Street West on the south and between Bathurst and Dovercourt lays the neighbourhood of Trinity Bellwoods, which also forms part of the West-Queen-West district. 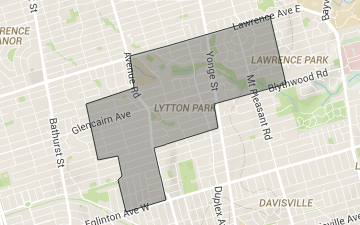 Bordered by Yonge Street to the west and Bayview Avenue to the east and from Blythwood Ravine on the south to Lawrence Avenue on the north, Lawrence Park South also includes the area west of Avenue south to Eglinton Avenue. 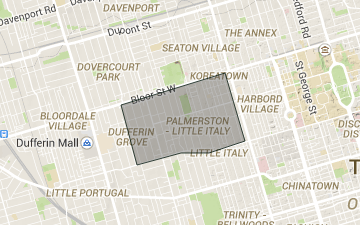 The large central neighbourhood of Palmerston–Little Italy, located between Bathurst Street to the east, Bloor Street to the north, Dovercourt Road to the west and College Street to the south, is a primarily mature downtown neighbourhood. 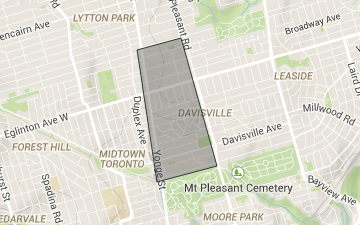 Davisville is a bustling and amazingly diversified neighbourhood with a real sense of community. 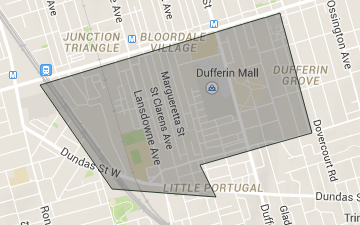 With shops and services on the three major north-south intersections: Yonge Street, Mount-Pleasant and Bayview. 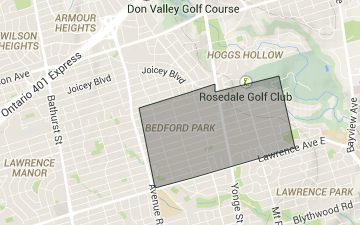 South Riverdale is located in the south-east part of Toronto and is bounded by The Don Valley to the west, and Greenwood to the East, and lies south of Gerrard. Located between University Avenue and Yonge Street and Bloor St and Front Street is one of the city’s busiest North-South arteries. The area attracts many who work in the financial district as well as those who work in the nearby hospitals and schools. 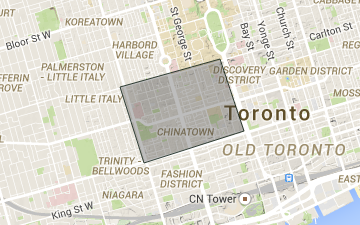 Almost impossible to define, the sprawling neighbourhood of Waterfront communities, located south of Queen Street between Bathurst and York, encompasses the sub-areas of the King West Theatre District, The Club District, The Fashion District, and Harbourfront. 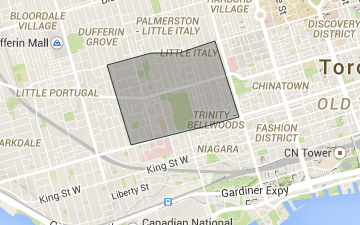 Located in the centre of the city lies the quiet neighbourhood of Leaside. This leafy area, first settled in the mid 1800's, is one of the city's premier areas for upper middle class families who value this established and safe community as the perfect place to raise their families. 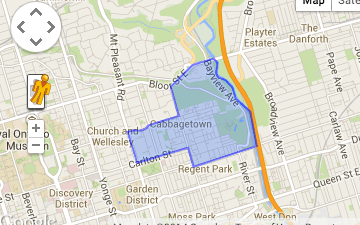 Cabbagetown, first established in the mid 1850's gets it's name from the thousands of Irish immigrants who first settled here after fleeing the potato famines of their homeland. Designated as a National Historic Site of Canada in 2006, Kensington Market is one of Toronto's most distinctive multicultural neighbourhoods. 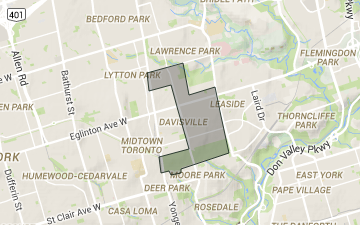 Riverdale is a large area in the east end of Toronto that encompasses many smaller neighbourhoods. 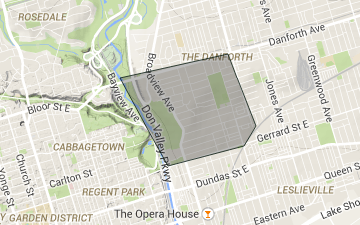 In the broadest sense, Riverdale runs from the Don Valley Parkway east to Pape Avenue, and south from Danforth Avenue to Gerrard Avenue. The Yonge - St. Clair neighbourhood is known affectionately as Deer Park, thanks to the great number of deer that lived in the area at the turn of the century. 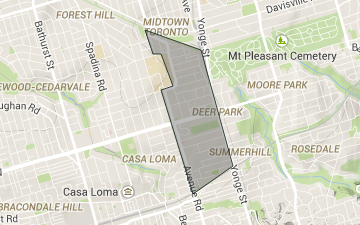 The Annex, bounded by Dupont Street to the north, south to Bloor Street, west to Bathurst Street and east to Avenue Road also includes the neighbourhoods of Seaton Village, parts of Koreatown and Yorkville. 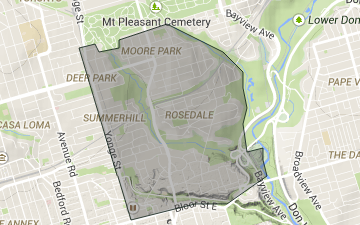 With its many ravines and convoluted street routes, Rosedale-Moore Park is known for its low levels of vehicular traffic. 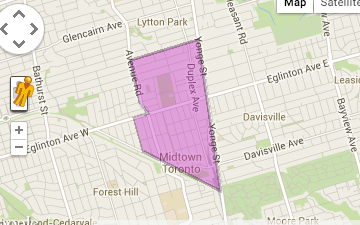 Of course that is not all that makes this one of Toronto's most sought after neighbourhoods. 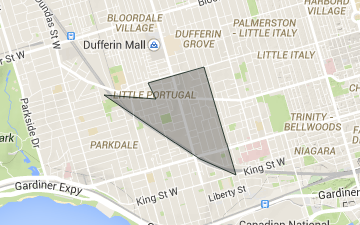 Bounded on the west by Lansdowne Avenue, on the north by College Street, on the east by Ossington Avenue and on the south by the Canadian Pacific Railway and Canadian National Railway CNR/CPR mainline railway tracks.